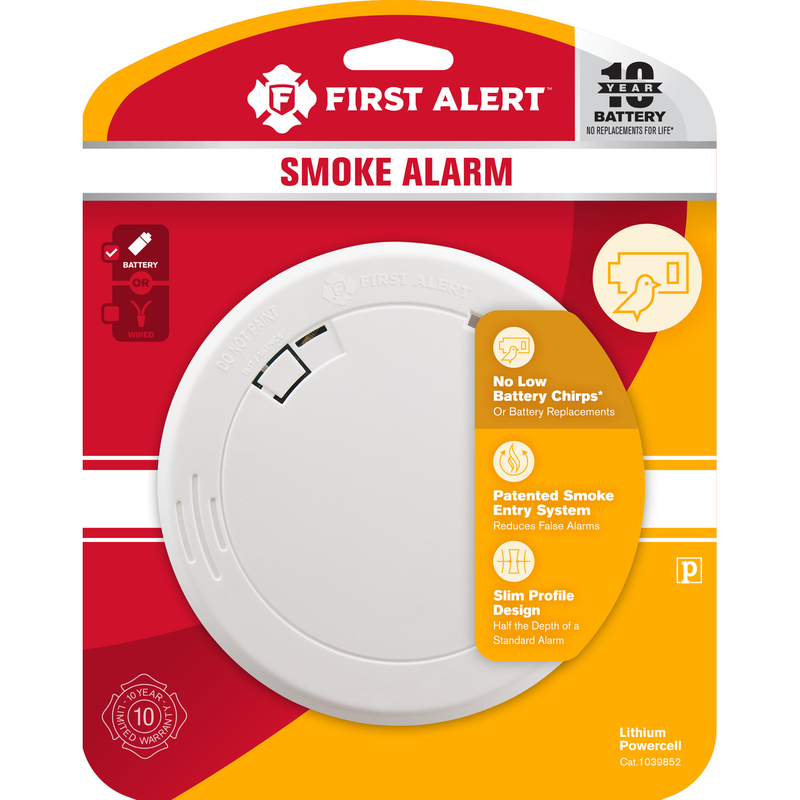 Featuring a low-profile, contemporary design, the First Alert 10Y Slim Photoelectric Smoke Alarm with 10-Year Battery provides the same protection as a standard smoke alarm while taking up only a fraction of the space. This slim, battery-operated smoke alarm requires no hardwiring for installation, making it an ideal solution for those who want to enhance fire safety without hiring an electrician. It features a built-in 10-year lithium-ion battery that provides continuous power for up to a decade. Equipped with an ultra-reliable photoelectric sensor, the smoke alarm detects smoke from slow-burning, smoldering fires while keeping false alarms to a minimum. A patented smoke entry system further enhances the detector's reliability by providing a direct path to the smoke sensor. The simple twist-lock mounting system installs easily onto a wall or ceiling, while the tamper-resistant locks help prevent removal of the battery to keep the alarm secure. 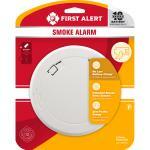 Half as thick as a standard alarm, the smoke detector has a sleek, slim design that blends in seamlessly with most decor. A loud 85-decibel alarm sounds when smoke is detected, and a convenient test/silence button lets you easily check alarm function and mute false alarms.